Over on the Guardian blog their arts correspondent Charlotte Higgins writes this about young conductors -'The loss is sometimes experience. It takes years for conductors to master the breadth and depth of the repertoire. 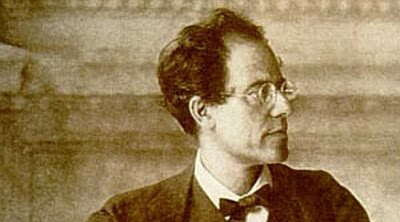 Raw talent alone cannot get you round the Mahler symphonies'. Is this the same Charlotte Higgins who recently wrote in praise of a certain young conductor's Mahler symphony on the website of a major record label? Now read more on classical music and the paid-for media. I've found that there's a preferred way to judge the value of a piece of writing on music, regardless of source (newspaper, magazine, blog) or purpose (commmentary, recording review, concert review). The requirement is to have read a sizable number of pieces by that same writer. Only then do you have a reasonable chance of matching up what they say to your own experience/taste. This is not to say that you generally agree with the writer. Not so ... I've sometimes bought a CD that I was confident I'd like just because so-and-so hated it. Not infallible, of course, but it's a good starting point in my experience.